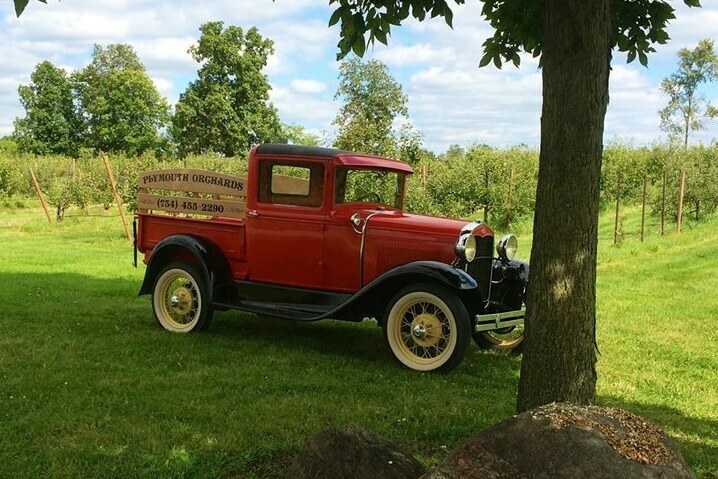 Since 1977, Plymouth Orchards has been the local cider mill for families to enjoy fresh-pressed, award winning apple cider, fresh-made donuts, crispy caramel apples and a fun farm experience. We now have fresh mums and pumpkins of all sizes in our new cider mill garden. During your visit, watch apple cider being made, grab a bag of homemade donuts and browse our cider mill shop. Step outside to just relax, enjoy weekend live music, stroll in the children’s farm zoo, and take a family photograph around our rustic covered wagon. We offer scenic tractor wagon rides through our beautiful orchard including a stop at the pumpkin patch and straw bale maze.